Enjoy a unique selection of Foothill wines from Alicante to Gewurztraminer & Zinfandel Port. Visit our tasting room housed in a refurbished auto garage on Main Street & experience these wines on our picturesque Creekside Patio. 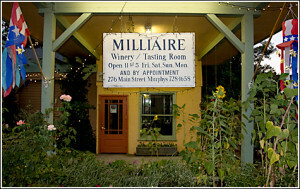 Something is always going on at Milliaire, let us entertain you! Check out our Facebook page for updates on our upcoming events. 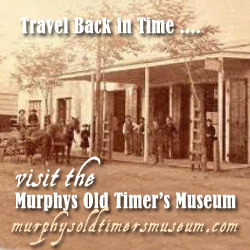 Open daily 11-5.